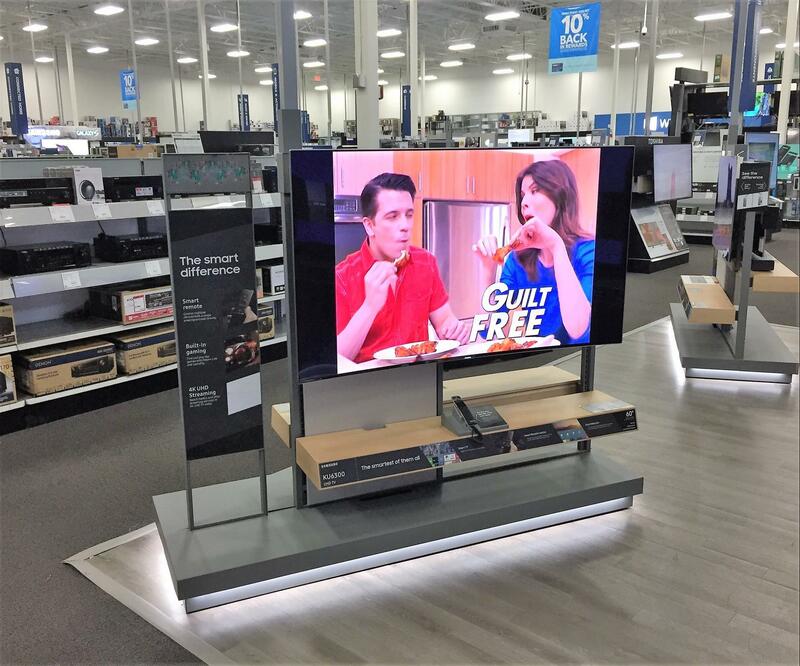 FLOWERY BRANCH, Ga., (March 23, 2017) – A select group of stores in a high-tech retail chain are getting a new, brighter look. Teams from Prime Retail Services are replacing wall features and floor fixtures in Home Theater sections at the designated stores. Prime crews are also replacing carpet and adding tables in the mobile phone areas. As part of the project, wiring that powers high-definition televisions and fixture lighting is also being repaired and replaced.